Remember the old Reese’s Peanut Butter Cups commercial? A guy and a girl, each jammin’ to their Sony Walkmans, blissfully struttin’ down two different sides of a corner block. The guy’s eating a chocolate bar, and the girl – well, she’s casually enjoying an entire jar of peanut butter (it was the 80’s – work with me here). Anyhow, they’re each minding their own business when suddenly – BOOM – they run smack into each other. “Hey … you got peanut butter on my chocolate,” whines the guy. “Hey … you got chocolate in my peanut butter,” says the girl. Their frustration is quickly washed away by the satisfying taste and the Reese’s Peanut Butter Cup is born. This is the story of Wild Turkey Forgiven. August 2013 … a new and unique Wild Turkey expression called Forgiven (batch 302) began lining retail shelves. This limited edition, a blend composed of 6-year-old straight bourbon and 4-year-old straight rye, was quite unprecedented for a brand known for uncompromising whiskey. The tale goes that the original batch of what would become Forgiven was the product of a careless mistake. It’s said the Lawrenceburg distillery crew “unwittingly mingled very rare, high-proof rye with perfectly-aged bourbon.” Eddie Russell, then Associate Master Distiller, was initially upset at the error, but after tasting the result was ultimately pleased and “all was forgiven.” I know what you’re thinking – are distillery crew members allowed to wear Sony Walkmans while working? Whether you buy the story or not, Forgiven was successful enough to warrant a second release in 2014 (batch 303). For what it’s worth, I believe there was a genuine error at the distillery that lead to the initial release. That said, I also believe the marketing department grabbed the story and ran with it. For example, what constitutes a “very rare” rye whiskey aged a mere four years? Maybe it was the fact that it was “high-proof,” as in notably higher than usual? Perhaps it was matured in a rickhouse or floor atypical for aging Wild Turkey rye? That would at the least make it more unique, but then so is every single-barrel whiskey in Kentucky. Or maybe it’s just the simple fact that Wild Turkey had a significant rye shortage going on in the early 2010’s? Seems the most plausible theory to me. Confession time. I’ll have to admit that I’ve been avoiding this expression for a while now. There’s multiple reasons for this. First, the $50 price seems rather steep for a 6-year KSBW and 4-year KSRW blend at only 91 proof. Second, the reviews for Forgiven have been considerably polarizing. Some folks are crazy about it, other folks think anyone that loves it is crazy. Finally, while I’ve had lots of luck blending various Wild Turkey KSBW expressions, I’ve yet to come up with a successful WT KSBW and KSRW blend. Believe me, I’ve tried. But with Forgiven quickly disappearing from stores around my neck of the woods, I figured it was now or never. For better or worse, here goes! Overall: Well, how about that? Forgiven is better than I expected. While not my choice cup o’ Turkey, I get why some folks praise it so highly. For starters, it’s a very delicate and easy whiskey with plenty of apple, pear, and light floral spice. It sips more like a low-proof bourbon than a youthful rye, though the rye presence certainly makes itself known. In some ways I’m reminded of Master’s Keep 1894. 1894 isn’t a blend (it’s KSBW), but in comparison to Forgiven there’s undeniable common traits in notes and feel. 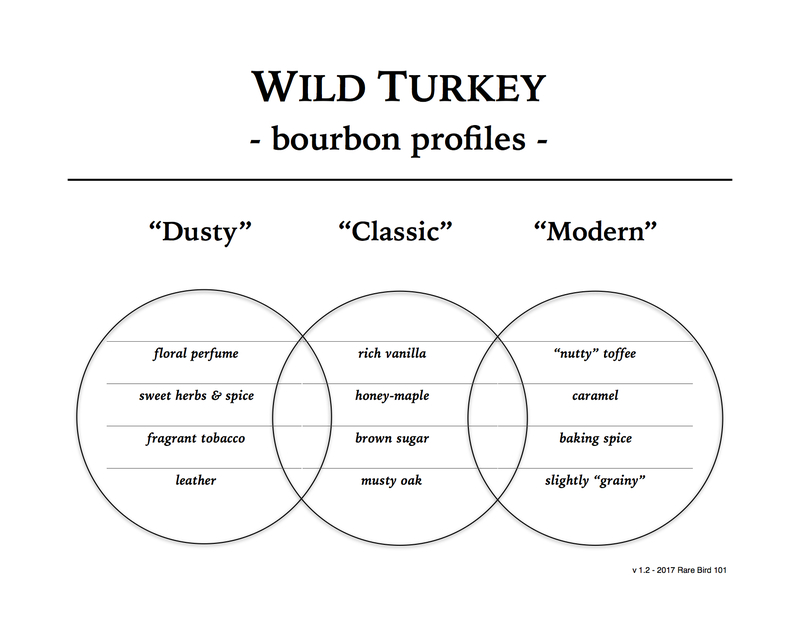 In closing, it’s important to stress that Wild Turkey Forgiven isn’t an expression I’ll be chasing. I’ll happily finish this bottle and share it with friends and family. As for me and my Glencairn, I prefer more robust pours. That doesn’t mean others won’t like it. As stated earlier, plenty of enthusiasts hold it in very high regard. You just have to be mindful of the price/value ratio. When a release starts inching into the $50 range it’s competing with Wild Turkey Kentucky Spirit and Russell’s Reserve Single Barrel. Based on my so-so experience with Forgiven, it’s honestly no competition. Now, where did I put that jar of peanut butter? I’ve been on the fence about this as well, and like you, keep buying RR Sib instead. I really like the 2015 Bourye I picked up recently but still don’t know if I want to take the plunge on Forgiven. Bourye is better than Forgiven. At the same time, Bourye is overpriced IMHO. Hard to beat RRSiB (bourbon or rye)! I took a flyer on the Bourye at a local shop that had it on sale for $40. Definitely worth it at that price. Definitely. I haven’t seen it below $70. Nice deal! Ha! I wondered if you would ever review this one. Same price as RRSiB here so I have never taken the plunge. Good thing. It’s not bad, it’s just young. And some folks really love it. Thanks for reading and commenting!